Everything is the universe is made of energy; from the planets to rocks, to human beings. Energy affects all of us, which is why it is a good idea to keep your personal energy field clean and free of negative influences and vibrations. For a healer, this is extremely important, so many healers have rituals that they perform to ready their energy for the healing session as well as cleansing their energy afterward. I know that before I see a patient before I even enter the room with them I make sure that I take a moment to clear my head, ground myself and set an intention for the session. After the session, I make sure to cleanse my energy so that I am not carrying any remnants of the previous person’s energy to the next patient, as well it is a sort of recalibration, or reboot of your energy field so that you are starting fresh with each patient. For me, what ritual, meditation, intention or objects you may use are not as important as doing it in the first place. There are many, many ways that you can cleanse and restore balance to your energy field, you just need to find the one that is right for you. I like using crystals and stones in my treatment room and sometimes with patients for healing specific issues and attracting certain energies to the space. I burn a lot of incense and sage, especially after a particularly intense or emotional session. I always make sure to wash my hands constantly throughout the treatment and certainly after each patient. I use Qi Gong regularly with patients (with their permission). I have salt lamps in my treatment room for cleansing and purification of energies and I like to use colours for activating certain chakras and building certain energies that will help in my treatments. Below are just a few things you can use to cleanse your energy field. Try them out and see which ones resonate with you. Burning sage is one of my favourite ways to cleanse energy. This practice goes back to Native American tribes who would use it in various rituals and healing practices. The practice of burning sage or “smudging” was often used to cleanse the energy of a person, group of people, animal, living or workspace. Native American tribes would often smudge people as they entered a sacred space before a ritual or healing took place to make sure everyone’s energies were clean, and they weren’t bringing anything with them that was not pure and might negatively influence the ritual that was about to take place. The Latin word for sage is Salvia from the word Salvus meaning “to heal”. Burning sage keeps a person and their environment energetically balanced. Other benefits of burning sage are said to be a heightened sense of spiritual awareness and intuition, wisdom, cleansing of energy and clarity. Burning sage is also an excellent thing to do after you have been around people who are depressed, emotionally unbalanced, sad, ill, mentally ill, angry or emotionally toxic. Burning sage can also help you when you are feeling any of the above as it acts to clear those energies and restore balance. The idea of how this practice works is that the smoke attaches itself to the negative energy, and as the smoke clears away it takes the energy with it. There are many cultures around the world that have adopted burning sage and countless other burning rituals. You may use burn many different herbs depending on your purposes. 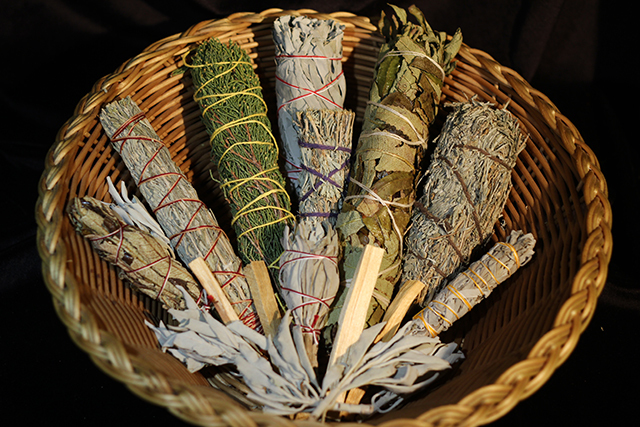 Traditionally, the Native American tradition of burning sage uses white sage or desert sage. To smudge yourself, another person or an environment like your home or workspace, do a small meditation to clear your thoughts and make your intentions clear. Sage burning is a wonderful way to regularly keep your home or workspace clear of negative energies, and you will find that you will feel a tangible, positive difference in how you and the space around you feel afterward. Pink Himalayan salt is not only beautiful but has amazing cleansing properties as well, both for the body and the spirit. 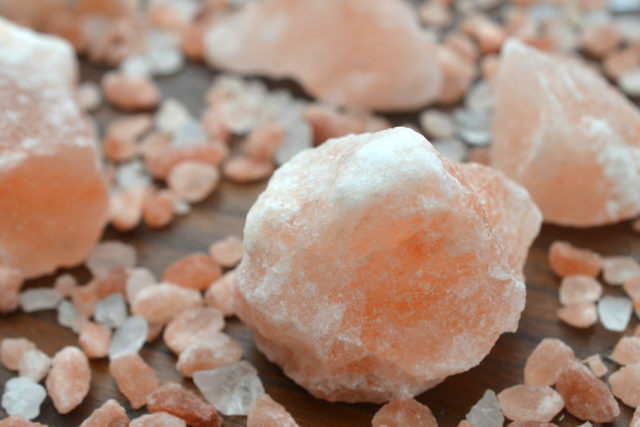 There are many ways that you can use Himalayan salt to cleanse your energy of negativity; you can carry a piece with you as a sort of protection from taking on negative energies from the world and other people in your day to day life, you can put Himalayan salt lamps in your home or workspace. Salt crystals absorb water from the air. The small light bulb in the salt lamp dries the crystal and causes it to release healthy negative ions – which are abundant in natural, healing places like oceans, waterfalls, and the beach – into the air. Negative ions in the air attract particles of pollution giving them a negative charge causing them to seek an electrical “ground” making them fall harmlessly to the ground. Nature is constantly producing negative ions to combat pollution in the air, this is why the air after a lightning storm always feels so invigorating – lightning produces a high concentration of negative ions. Because an energy source is needed to create negative ions – like the heat from the bulb in a salt lamp, lightning in a storm, rise and fall of tides at the beach and friction and evaporation in a waterfall – carrying salt does not have the same powerful effect. Think of salt lamps as protective as well as cleansing energy. Carrying salt, as well as bathing in salt baths are a great way to cleanse energy. A salt bath cleanses both body and spirit. These can be used once a week to once a month to cleanse any negative energies that may have accumulated. It is a good idea to shower and wash first, then give yourself some uninterrupted time and the intention of cleansing so you can completely relax and be mindful of what you are trying to achieve. Burning incense or candles, having crystals or listening to relaxing music can also enhance the experience. Do whatever makes you feel good. All of these things contribute to the beneficial effects of the bath and open you up to the universal energies that rebalance and heal us. 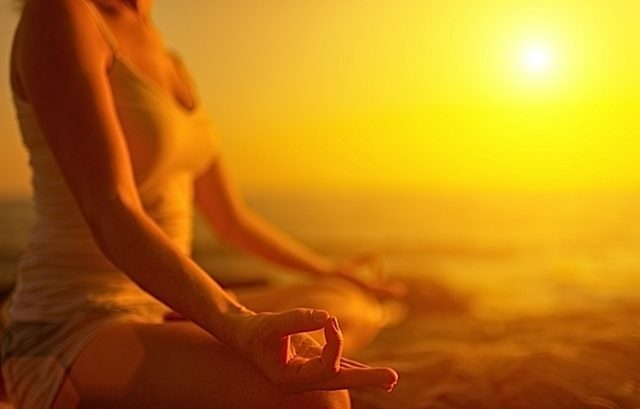 Meditation is something I talk about a lot and I think is really vital to our health and wellbeing. That said, I know it can be a bit intimidating for anyone who has never done it and feels that they might not know “how”. My thought is that the “how” isn’t as important as doing it in the first place. Just starting by clearing your mind (which is no easy task, I know), and in the case of cleansing, setting an intention or having an image in your mind is what you need. You can think about whatever represents cleansing or purifying to you… it could be a white light, fire, creating a barrier around yourself, whatever you feel is cleansing, you can do a little meditation where you visualize the process of this cleansing of your energies, and it should do the trick. When I am energetically cleansing a patient, I see myself pulling negative, sticky energy off of them, balling it up and tossing it away. In many cases, they can feel me pulling it off and feel much better and lighter afterward. After a treatment, I have many different techniques that I use to cleanse, but a short meditation before and after each patient to recalibrate myself and cleanse any energy that isn’t my own is vital to being an effective practitioner and a healthy, happy person. Find something that feels right for you and experiment. You will eventually hone it to what is exactly what you need. Another favourite of mine is to leave it to the power of mother nature to remove negative energy and revitalize your body, mind, and spirit. You can draw energy from the earth, the sun and all the flowers, plants and trees that have been soaking up and are now radiating that wonderful energy right into your person. A great way to absorb good energy from nature is to take off your shoes and just stand with your feet on the ground, in the grass or in the sand and soak up the earth’s energy directly into your feet. You can reach up into the sky and absorb the sun’s energy at the same time and complete the circuit, becoming a conduit for the power of the sun and the earth at the same time. Because so many of us now are living in big cities and live in apartments or houses and work in buildings all day long, we get less and less time to be in nature which is the ultimate healer. There is nothing better to cleanse negative energy and boost positive feelings and thoughts than simply going for a walk in a forest, on a beach or along a path outside, breathing deeply and taking it in through all your senses. To some, this may sound a bit silly, but this connection to nature’s healing power is something we have largely lost and I think is a huge contributor to our decreased health, happiness, and well-being as a species. Chinese medicine believes that a close relationship with nature is an integral part of health, and is a huge part of its system of preventative medicine. So, if you want to clear negative energy, rebalance, recharge and reconnect, go outside. Breathe deep. Take off your shoes. Lie in the grass. Climb a tree. Your body, mind, and spirit will thank you. One of the major causes of both pain and disease in Chinese medicine is energy that gets stuck, or stagnant. This can start energetically and eventually can manifest physically as well. A large part of these “stagnations” in the body are due to the fact that we have become so sedentary. Exercise is good for your body for many reasons, not just physically, but emotionally and psychologically as well. 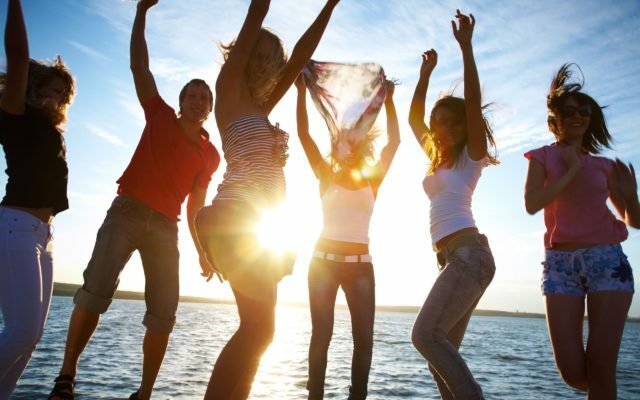 A great way to also get rid of negative or old and stuck energy is to simply move your body. You can do this any way you like. Go for a run. Do some yoga. Practice Qi Gong or Tai Chi. Go out dancing. Anything that moves you will increase circulation, and move energy inside your body as well as move old energy out to make room for new, good energy. So important. All of it. Hi, Barbra – that is wonderful! I am so glad it was helpful and will help you make changes that will benefit you. We all certainly come into contact with negative energies so knowing some ways you can keep yourself free and clear of those energies is a good thing. I do shiatsu massage in my local area, and now am working with clients to heal via meditation and self-shiatsu! So great article on clearing space when I work. Even working with long distance clients via Skype, I feel it’s good idea to cleanse my space after each session, don’t you think?